Are you about to file your Income Tax Return? 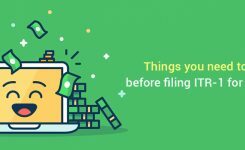 Then make sure you do it properly because many first time taxpayers commit very common mistakes in filing Income Tax Return. Improper efiling of income tax return can bring troubles in the form of penalty & notices from the income tax department. Hence to help & guide you, we bring a list of common mistakes in filing income tax return. And one more thing, it is our secret list, do not share it with anyone. This is one the most common mistakes in filing income tax return. Due to so many IT return forms, taxpayers face confusion in selecting the correct form to file return. For e.g. if you have only salary income & it is upto ₹50 lac then ITR-1 Sahaj Form is applicable. In case, the salary income is ₹50 lac or more then ITR-2 is applicable for FY 2017-18 (AY 2018-19). Hence, it becomes very important to identify correct incometax form. 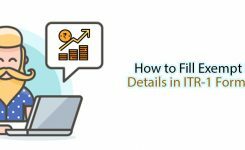 For this, you can refer to our guide on ITR filing. You must have noticed that while registering on incometaxefiling website, you are required to verify mobile number & email-ID. Reason being that the income tax department send all communications to this registered number & e-mail. Therefore, it becomes very important to only register number & email which you are using actively. You’ll surely agree that receiving income tax refund is always a happy feeling. Many taxpayers unintentionally provide wrong bank details & this common mistakes in filing income tax return of can delay your income tax india refund. Income Tax Department transfer all income tax refund up to ₹50,000 directly to you bank account. Therefore, always share correct bank account details for income tax return of an active account. Use our tool & know online refund status now. Do you like paying income tax? The most honest answer will be an obvious NO! Who likes to give someone else their hard-earned money. But it is possible to reduce income tax liability by using benefit of tax deductions under Chapter VIA. But due to lack of knowledge & guidance, taxpayers do not claim the benefits of such tax deductions. For e.g. Section 80C provide deduction up to ₹1,50,000 in a FY by making investment in NPS, Sukanya Samriddhi Account etc. 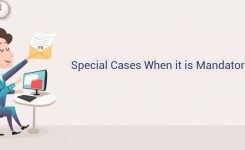 Know all about Deductions under Chapter VI A in our guide. If you’ve pursued education from outside India then it’s a must to open a bank account in that country. Many time what happens, the student come back to India & withdraw whole money from the foreign bank account but don’t close it. Now this foreign bank account becomes a foreign asset & in such case, it is mandatory to file tax return using ITR-2. Therefore, these type of special disclosures are mandatory & any non-disclosure will bring notice from the ITD. 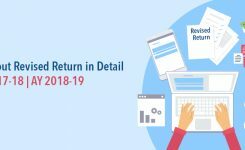 After filing ITR for FY 2017-18 (AY 2018-19), it is compulsory to verify the return & most people fail to do so. ITR must be verified within 120 days of filing as without it the ITD will not process your tax return. A very common mistakes in filing income tax return is the failure to verify/ e verify it. Without verification of ITR V, your tax return will not be considered as filed & notice will be sent by ITD. You can verify ITR V offline by sending print out to CPC Bangalore using post or e verify using Aadhaar OTP, EVC etc. Refer to know more on ITR V E Verification. Form 26AS is a document which provide all the details of tax deducted on your behalf and deposited with government. Hence, it is important that your 26AS matches with the details as in Form 16 & Form 16A. Manytime, due to mismatch in TAN of deductors or amount of TDS etc taxpayers are not able to claim credit of tax. And this leads to double payment of taxes. Similarly, to claim benefit of self-assessment tax or advance tax, it is important to enter correct Challan No etc. Incorrect details will lead to cancellation of such taxes. Do you want to know your tax liability or refund? Use our free income tax calculator tool. Filing income tax return can be either be a tiresome or an easy process. It all depends upon the knowledge & guidance one receives. With so many provisions, deductions, sections etc it is very easy to get lost in the vast ocean of Income Tax. 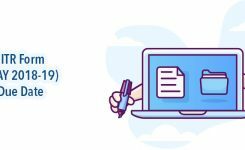 Therefore, we hope our blog on common mistakes in filing income tax return was able to guide you in avoiding such mistakes.